At a time when provincial election campaigns are dominated by leaders’ tours and discussions of party platforms, it is easy to forget the important role of the individual all-candidates debates in each riding, which is to inform voters. These debates are crucial in raising the profile of new candidates, discussing local issues and giving voters an opportunity to engage in the political process. The Sandy Hill Community Centre, with the support of several community associations and local resource centres, hosted such a debate for Ottawa-Vanier last May 24. The debate was well-organized, well-moderated, and well-attended, but in the end proved disappointing for a number of reasons. Firstly, only three candidates showed up: the Liberal incumbent, Nathalie Des Rosiers, her NDP challenger, Lyra Evans (the first transgender candidate in an Ontario election) and the Green Party representative, Sheilagh McLean. 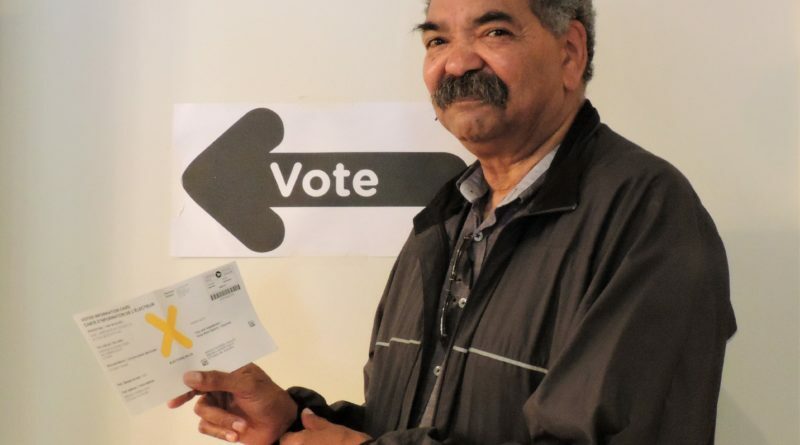 The None of the Above Direct Democracy Party, the Freedom Party of Ontario, the Ontario Libertarian Party and the Progressive Conservative Party representatives were all absent. The PC candidate sent an apology and had a display table with brochures, which, unfortunately, gave only his name under his photo. In contrast with the other candidates present, there was no information about who he was, what he did, or why he was running. Secondly, the session’s format was more a question-and-answer session than a real debate. The candidates answered questions but rarely commented on each other’s answers or engaged in back-and-forth discussion over the issues. This allowed them to get away with several questionable claims without being challenged. The result was a surfeit of facile promises, many untethered from financial constraints. Finally, the session ended up being curiously lopsided, with many important issues ignored. The fact that all three candidates present inhabit much the same area of the political spectrum and that the audience was mostly interested in social issues meant that several important topics were not discussed – hydro rates and the privatization of Hydro One, concerns that played such a prominent role in the provincial campaign, were mentioned at the very end as an afterthought. The continuing government deficit, the size of the government debt, the competitiveness of the Ontario economy, and the continuing uncertainty over NAFTA, among others, were never mentioned. So, what did one take away from the debate? Des Rosiers and Evans were both articulate and knowledgeable about a range of policy issues. Both were able to speak fluently without notes and leaven their answers by referring to personal experience, although only Des Rosiers could do this in both French and English. By contrast, McLean relied heavily on notes and the commitments noted in her party’s platform in her responses to questions. As the incumbent, a cabinet minister, and a woman with a distinguished career before she entered politics, Des Rosiers’s solid performance was not surprising. Evans, though, was somewhat of a revelation as the youngest of the candidates present but one who demonstrated she could have a promising political future ahead of her, should she decide to pursue it. In the end, the results of the election in Ottawa-Vanier were not a surprise even if the provincial campaign provided a cliff-hanger. Des Rosiers won the riding comfortably although her majority was smaller this time.